…And why they’re so important! Want to live longer and be happy? Make time for friends – you’re going to need them! 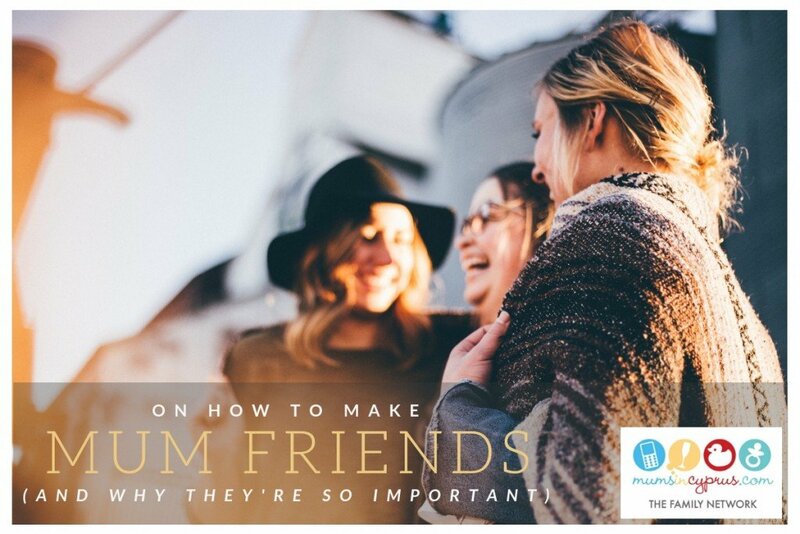 Do you have Mum friends? The kind that you can call in the middle of the night in an emergency or the ones that won’t judge you when they stop by your house unannounced to find you in your pyjamas, sporting a mum-bun and a spit-covered shirt? The ones that will step over the crap-covered floor without a word and do the washing-up for you while you take a shower? Someone who you can call to pick up your kids when you get stuck in a meeting… or a friend who will listen when things are tough and give you the honest advice you need? These kind of friendships can be hard to find, especially when you’re in a new place. But trust us, you need them. And you need to make the time to grow them, just as you would any special relationship in your life. Many of you mums in our community are or have been in the same boat as a lot of us… far away from friends and family; new to this country; just moved to a new town; have friends with different aged kids or perhaps no kids at all… In each of these circumstances, we can all relate to just how hard it is to establish a new network. Just as we know how easy it is to get caught up in the tidal wave of babyhood and later, the repetitive stream of work, school runs, afternoon classes, cooking, cleaning, washing and the exhausting mental load that comes with being a mum. Our schedules can be so tiring or so packed that we can forget how important it is to make time for friends. Important not just for the obvious reasons but for our health and wellbeing also! Recent results from a long-term Harvard study have shown that beyond good genes, diet and exercise, social connectedness is the biggest predictor of longevity. This means that, in addition to all the other benefits that come from having good friends, if we are lucky enough to have them, we can enjoy longer and happier lives. You’ll eventually find the one that is right for you and your child. You’ll also feel more connected to the wider parenting community and will discover that the more seasoned mums are a wealth of local information, support and advice. You’ll connect with other mums and find most of your questions can be answered by at least a few people… even better, take those friendships offline with a playdate in the local park! If you’re a stay at home mum, getting out of the house and talking to people can be hard – especially if you’ve been out of the workplace for a while, your brain is foggy from lack of sleep and you’re so used to talking to little people that you can’t think of a thing to say! Or perhaps you work such long hours, you feel completely disconnected from all the stay-at-home mums that know each other from the rounds of playgroups and events. Remember, you’re not the only one going through this… it may be hard at first but it will get better with time, patience and a little courage. Join a new group, sports team or carve out some time for a new hobby. That “me-time”, if you make it, will be what preserves your sanity and your original self – the one that you spent a life cultivating before other people’s needs took precedence over yours. Exercise and/or socialising without little-people can do wonders for your health, your mental wellbeing and your soul! It’s hard… but don’t give up. Get dressed and get out of the house! Choose an event over staying home and catching up on that work or pile of washing! A dose of sunshine and fresh air, along with a chat with another adult can make all the difference. A chat that turns in to a playdate, that turns in to lasting friendship may very well be the lifesaver you’ve been searching for! You may be feeling a little lost – far from home and the security of family and longterm friends, but with Cyprus having such a large proportion of migrants (we have nearly 30 different language groups on our website alone), you’ll find that there are quite a lot of people in the same situation as you! Apart from the great opportunity to make friends from far and wide, each with different life experiences and interests, it also means that there are a lot of people here motivated and looking for the same thing… the chance to make new friends and grow their support groups! Which is why attending events like our Meet-a-Mums are so important… they are created for exactly these reasons: to take the ‘luck’ out of bumping in to someone at the right time and place and to give you the opportunity to meet a like-minded mum that you can grow a friendship with. Don’t be shy – we were all new here once and we’re all looking for new people to connect with; share laughter and playtime with and to be each other’s support systems. There will be drinks and activities for the kids, so you can relax and chat and hopefully make some new connections. 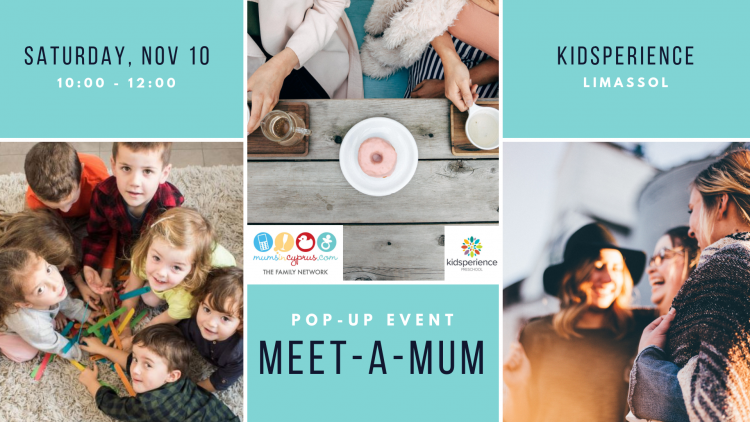 We’ll be having our next Meet-a-Mum pop-up event with Kidsperience Preschool at their new fab premises in Central Limassol on Saturday, November 10, from 10:00 – 12:00.